Beautiful Food in a Beautiful Room…. … served by beautiful people. Food is many things to many people. It ranges from basic sustenance (boring but necessary) to celestial magnificence. In the hands of Ajay Gupta, it is close to the latter. Ajay had a brain for engineering and a passion for cooking, and happily for palates all over Albuquerque, his passion burned much hotter. Partly because it was for cooking Indian food. Not the tongue-searing stuff of southern India alone, but a richer combination of the milder, spicier northern along with the fiery southern. Any dish in his place can be prepared to the degree of heat that you specify, from 1 (wimpy) to 10 (heroically hot). If 10 is not enough for you, he can add some insanely hot ghost pepper for you. He wears gloves when handling these beauties. [Naga Jolokia “Ghost Pepper” — 800,000 ~ 1,041,000 Scovill Heat Units (SHU) http://ushotstuff.com/worldshottestchile.htm] What is really amazing is that regardless of the heat level, the wonderfully aromatic and complex spicing shines through. This is food fit for the gods. The charming and beautiful (there’s that word again) Rajul, Ajay’s wife, helped us select our menu for our initial visit there. The combo appetizer plate has papadums, a samosa, a pakora, and mathri (crackers w/ chutney). Good choice; each item is fine. 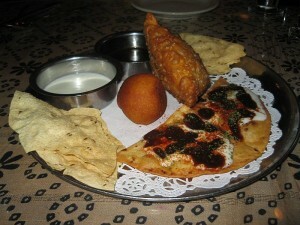 The samosa is especially good — beautifully fried and delicate — a tribute to Ajay’s skill. afforded us an initial calibration. I call this level medium piquancy, but your mileage may vary (I am a chilehead). 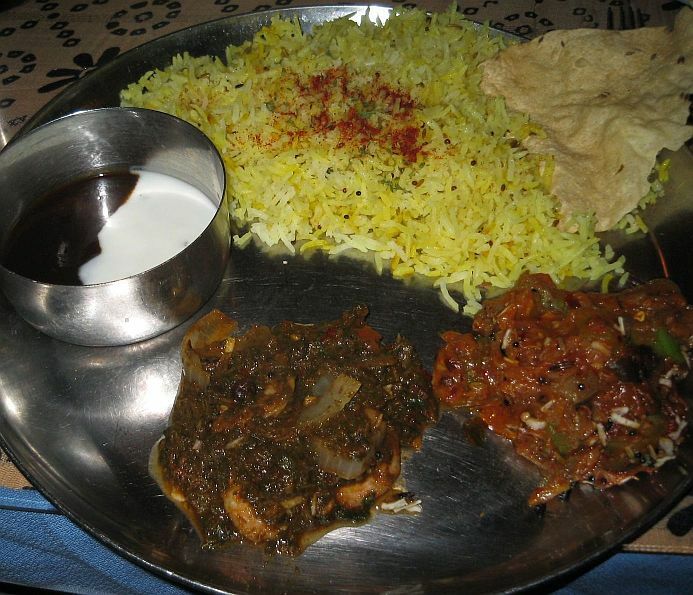 The textures of both dishes are delicate and not mushy. The taste of the spinach shines through. The eggplant is soft and the okra is not slimy at all (as it often is in a stupid Cajun place). 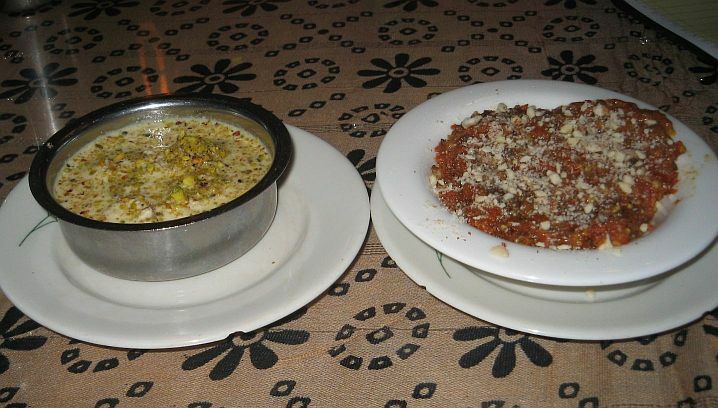 Both dishes are delicious and highly recommended. The rice is exemplary. Fragrant, tasty, and perfectly done. I usually shun desserts in Indian restaurants. Gulab Jamun is too cloyingly sweet. Rajul suggested that we try Gajar Halwa (Carrot Pudding) and Ras Malai (Cheese Patty w/Pistachios). Both are sensational. The Ras Malai has that aromatic and perfumery nose and taste. This could easily become a favorite. 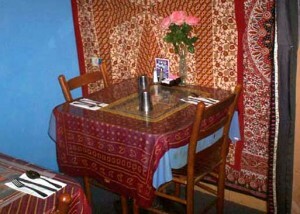 India Kitchen has been open for 29 years. It took me three years to find it. What a lucky discovery! 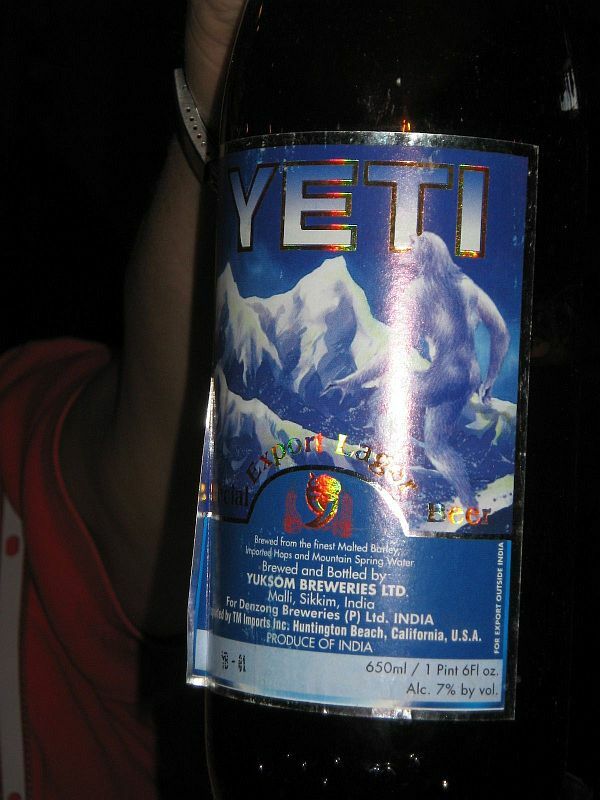 We asked Rajul to recommend a beer—we had fallen in love with Kingfisher during a two-week vacation in India. She told us that the version of Kingfisher served in most laces in the US is made in New York, and is so inferior to the Indian version that she will not serve it. 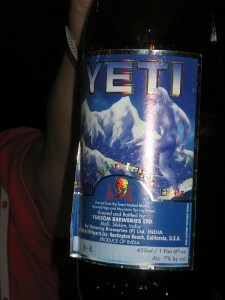 She recommended Yeti, a pale and very tasty lager that goes really well with Indian spicing (the tastes complement), and she certainly was right. Listen to her; she knows stuff. 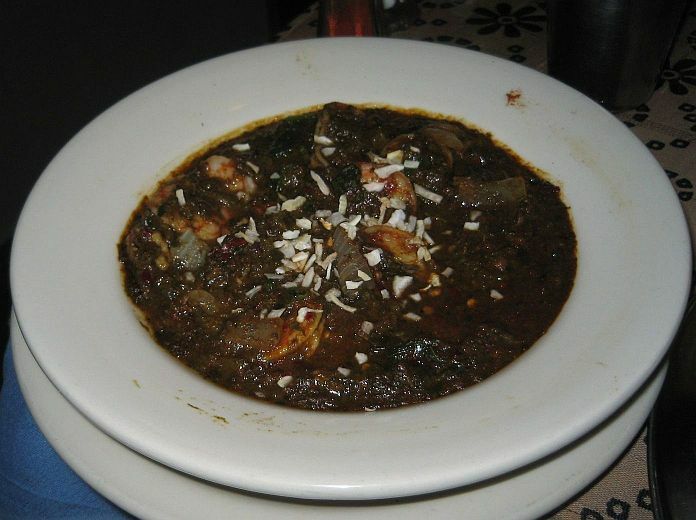 Urbanspoon lists 11 restaurants in Albuquerque that serve Indian food. 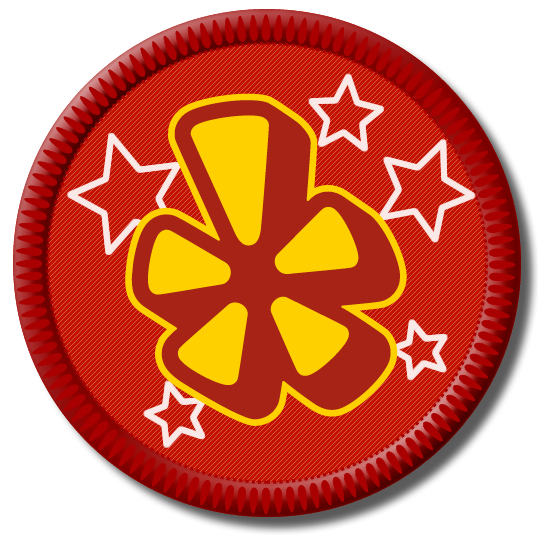 Two are excellent, and India Kitchen is one of them. Besides having beautiful food, I was warmly welcomed there. I’ll surely be back, and I will report here my adventures up the Scovill scale. 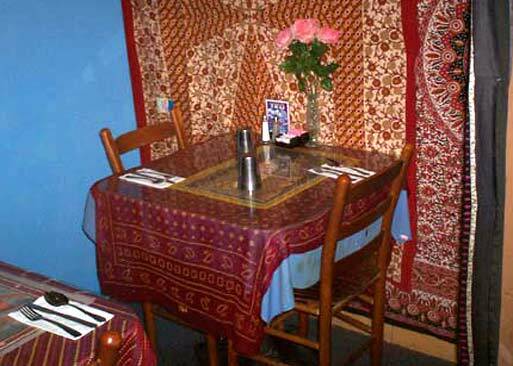 India Kitchen was the first Indian restaurant in Albuquerque and has been in continuous business for over 33 years and has been my favorite for about 25 of those years. It was the first Indian food I ever ate. December 12 will be the last day as Ajay and Rajul will finally be retiring. I am sure that most regular customers know that Rajul has been working through considerable pain for the past many months due to a pinched nerve in her neck. Their kids who worked there have long grown up to be successful professionals (doctors etc) but when they are back in Albuquerque visiting they pitch in waiting tables. I will certainly be there for the last day.